WHSmith is a British retailer specialising in convenience, reading and travel essentials in their overseas operations. 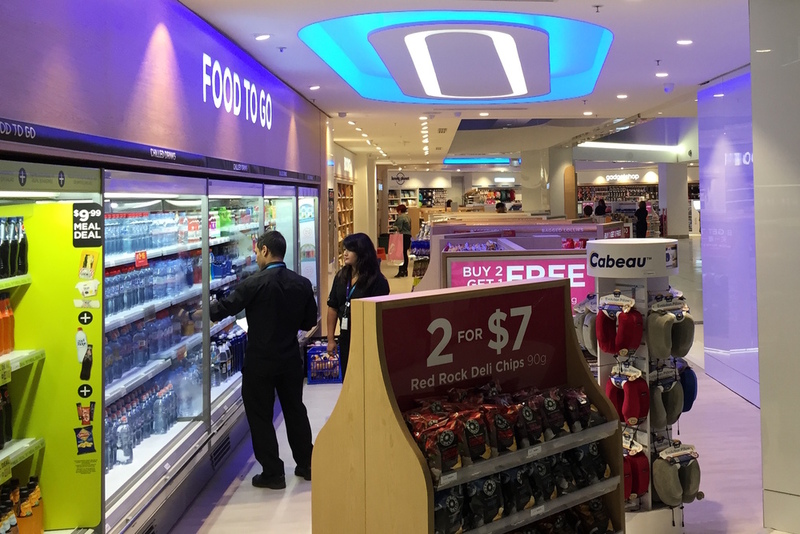 We were awarded two shop fitouts at Terminal 1 of Sydney Airport, with both stores due to commence trading on a very short timeframe. The work site interfaced with a duty-free thoroughfare and required a rapid construction programme to meet the opening deadline. Our small projects team regularly undertake works at Westfield. Having completed over 60 projects to date, we have significant experience working in a busy trading environment, liaising with facilities management, leasing supervisors and centre security as required, all while maintaining a mindful approach to the general public. These projects have included small office fitouts, multiple store rooms, loading dock modifications, retail defits, mobile charging stations, balustrade changes and food court works.